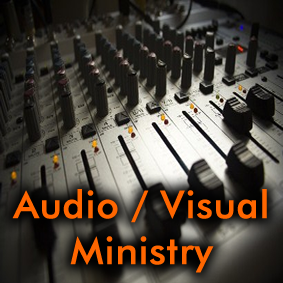 The Audio / Visual Ministry allows the message to be heard, seen and experienced. This is a group of highly motivated, committed and enthusiastic servants who value excellence and one another. If you like to work behind-the scenes, come serve with us in a technical and fun way. No experience is required to join the Audio / Visual ministry and training is available.